Russell Davies first coined this phrase here (or at least that's where I stumbled on it first). It's an apt and succinct term that captures the state of constant flux of the digitally connected world we inhabit today. You notice the term 'beta' on most of the web sites you visit from Gmail to Joost. It's one of those things that's so apparently out there and ubiquitous that you really tend to miss it. It's got many meanings. "There are moments in history when the pace of change is so fast and the shape of the future so fuzzy that we live in a constant state of beta." "our business models are melting down around us, our personal careers are morphing—or disappearing-- and there is less certainty about tomorrow than at any other time in our lives. 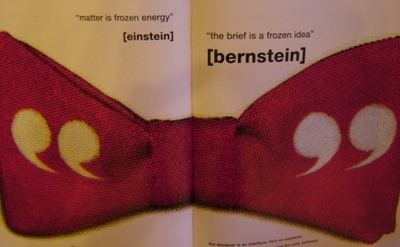 Every industry, every company and every one of us is swept up in this veritable flood of change." 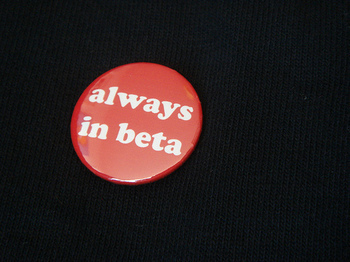 Now 'beta' applies to each of us individually. So it's not just brands and companies that are at threat of extinction if they don't evolve fast enough; it's also us mortals that are in danger of becoming obsolete professionals. And that's a thing to watch out for.